Spending too much time to edit, build, transfer and run your app between PC and mobile device? Web browser cant test all the features? PhoneGap App is here for rescue http://app.phonegap.com First, you need to install the desktop app, then install the mobile app, and last pair the two. However, it only support phonegap project and not codova. This entry was posted in Cordova/Phonegap on June 30, 2014 by admin. AMD Virtualization (AMD-V, SVM), only supported for Linux (Since May 2006, all CPUs AMD include AMD-V, except Sempron). 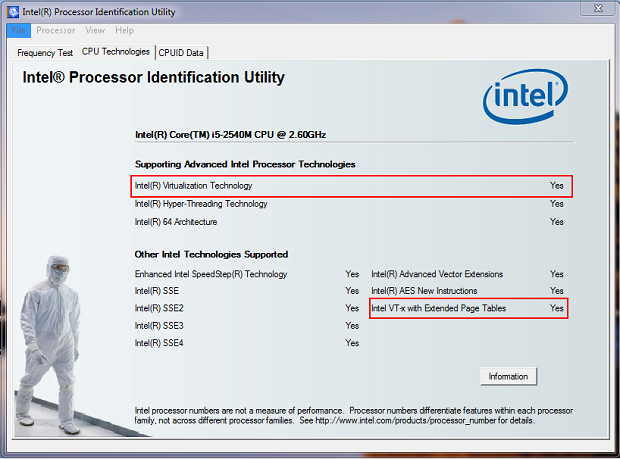 Another way to find out if your Intel processor supports VT-x Technology, it’s by executing the Intel Processor Identification Utility, for Windows. you can download it from the Intel Download Center, or you can use the booteable utility, which is OS Independent. So if you got these 2 red things enabled, congratulation! Else, too bad… In order to speed up the emulator, you need to download and install one or more Intel x86 Atom System Images, as well as the Intel Hardware Accelerated Execution Manager (HAXM). 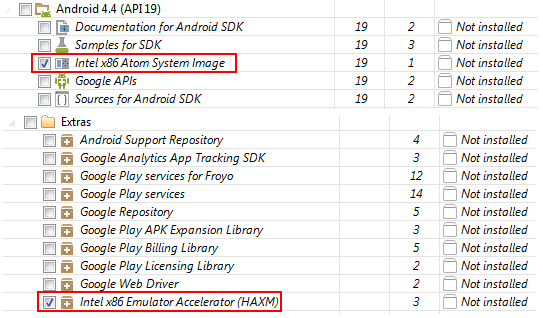 Open your Android SDK Manager, and select the Intel x86 Atom System Image, for whichever version that you want to test. Then go to Extras and select Intel x86 Emulator Accelerator (HAXM), and install those packages: After download, run the Intel installer, which is available within your Android SDK at extras/intel/Hardware_Accelerated_Execution_Manager. Note:If you have any problems installing the package, you can find more information and step by step guidance check this Intel Article. This entry was posted in Android on June 18, 2014 by admin. You should beable to see the default page with cordova logo now. Congratulation, you have got your very first cordova app built and running! This entry was posted in Cordova/Phonegap on June 18, 2014 by admin.